Prepositions Por and Para in Portuguese. The difference you always wanted to know. 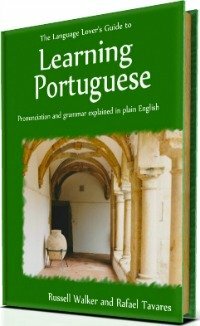 Confused about the words Por and Para in Portuguese? Por and Para in Portuguese. Perhaps, in order for you to understand them better you may need to understand their concepts first. 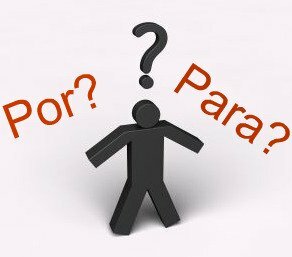 Both of the words "Por" and "Para" in Portuguese may be mainly understood as "FOR" or "TO" in English, however the distinction may be confusing, especially when you need to use them in writing or when speaking. POR means "BY", "FOR", "THROUGH", "VIA"(in this 2 last cases, expressing movement). Let me break it down in parts! When you use PARA, you look forward as an aim. You reply to the questions: What do you do that for? What is the purpose of that? Towards what end? 1. As direction or destination, you'd likely use the English words "TO" or "TOWARDS", e.g. "O comboio para Lisboa é às 18.00 horas." - "The train to Lisbon is at 18.00 hours." or "Eu vou para o norte." - "I'm going towards north". 2. As the purpose of something, you'd use the English words "FOR" "TO" or "IN ORDER TO", e.g. "Para quê faz dieta?" - "what do you diet for?" In short, for what PURPOSE and towards what objective? or "Para passar no exame, preciso de estudar" - In order for me to pass the exam, I need to study". "Esta caneta serve para escrever" - This pen is useful for writing = PURPOSE. "Vou a Nova Yorque para comprar roupa" - I'm going to New York to buy some clothes = FOR = IN ORDER TO = PURPOSE. "Este autocarro vai para o centro da cidade" - "this bus goes towards the center of the city" = TOWARDS = THE END AIM. "Vou comprar um bolo para a Maria" - "I'm going to buy a cake for Maria" = FOR = PURPOSE. "Para ele entender tem de estudar" - "In order for him to understand, he has to study" = IN ORDER FOR = THE END AIM. 1. Is used as FOR (in English) when you look backward as the reason why. You'd reply to the questions: Why do you do that? What is the reason? On the behalf of who? e.g. "Eu telefono ao Pedro por ti." - "I call Pedro for you" = ON BEHALF OF WHO = WHO AS THE REASON WHY. 2. When referring to numbers - For how many years, kilometres, etc.? For how much? e.g. "Comprei esta camisa por 30 dólares" - I bought this shirt for 30 Dollars = FOR + NUMBER. 3. When expressing movement you would reply to the questions: Through where? Via where? e.g. "Eu passo-te o livro pela janela." - "I'll pass you the book through the window." = THROUGH in movement = VIA. "Eu faço o exercício por ti" - "I'll do the exercise for you" = FOR = ON BEHALF OF WHOM. "Nós falámos por 3 horas" - "We spoke for 3 hours". FOR + NUMBER. 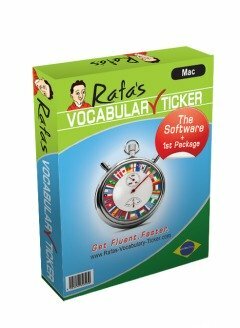 "Este voo vai por Chicago" - "This flight goes through Chicago".= THROUGH in movement = VIA. "O carro foi reparado por ele" - "The car was repaired by him". FOR AS "BY" = THE AGENT OF THE PASSIVE ACTION. "The wine is drunk by him" - "O vinho é bebido por ele. ", rather than "He drinks the wine" - Ele bebe o vinho." As you see, the 1st phrase is passive because you express what was done by whom, and the 2nd phrase is active because that person does the action (actively). As a final explanation, I need to let you know that the preposition POR must be contracted with definite articles(o / a / os / as). So if you have in a sentence the preposition "por" followed by "o" you should contract them and the result is "pelo". Eu vou pelo centro da cidade - I go through the city centre. Ele vê o mar pela janela - He sees the sea through the window. And that's it regarding POR and PARA in Portuguese! If you want to learn more about other prepositions click here because the same contraction process applies. 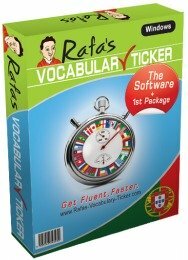 Go Back From Por AND Para In Portuguese To Portuguese Grammar.